The United States Supreme Court recently ruled that an employer is not required to pay its employees for the time they have to wait to go through security screening even though the employer requires the screening. The employer, Integrity Staffing Solutions, Inc., provides warehouse employees to Amazon.com throughout the country. Its employees package products and ship them on behalf of Amazon. 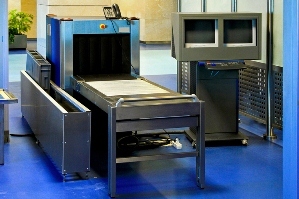 Integrity required the warehouse workers to pass through metal detectors at the end of each day before they could leave the warehouse. Two employees, Jesse Busk and Laurie Castro, filed a class action wage and hour lawsuit against Integrity. They claimed Integrity violated the Fair Labor Standards Act (“FLSA”), a federal law, because it did not pay them for the time they had to wait to pass through metal detectors at the end of every day. The employees estimated they had to wait an average of 25 minutes per day, or nearly to 2 1/2 hours per week. The trial court dismissed their case, ruling the employees were not entitled to be paid for this waiting time because it occurred after their work shifts were over and was not an “integral and indispensable” part of their jobs. The employees appealed, and the United States Court of Appeals for the Ninth Circuit reversed. It found this waiting time was compensable because it was, in fact, integral and indispensable to the employees’ job duties since it was necessary to prevent employee theft. The United States Supreme Court agreed to take the case. In Integrity Staffing Solutions, Inc. v. Busk, it explained that courts initially interpreted the FLSA to cover all of the time employees were “required to be on the employer’s premises, on duty or at a prescribed workplace.” However, in 1947 Congress decided this definition was too broad. As a result, it passed a new law, the Portal-to-Portal Act, which makes it clear that the FLSA does not require employers to pay employees for (1) their time traveling to and from work, or (2) activities that occur before or after the employee finishes performing his or her principal activity or activities for the employer. The Supreme Court noted that it previously has ruled that an employee’s principal activities include duties that are “integral and indispensable” to the employee’s principal activities. For example, it has held that showering and changing clothes can be integral and indispensable for employees who work with toxic chemicals because they cannot safely perform their jobs without doing so. Likewise, sharpening knives can be integral and indispensable to meatpackers because dull knives slow production, have a negative impact on the appearance of the meat and can lead to accidents. However, it also has ruled that waiting to put on protective gear is not compensable time for workers at a poultry plan because it is “two steps removed” from their jobs working on an assembly line. Applying these principles, the Court ruled that the warehouse workers were not entitled to be paid for waiting to undergo the security screenings. It explained that since the employees were hired to package and ship products rather than for the purpose of undergoing security screenings, the screenings are not one of their principal activities. It further indicated that the screenings are not integral or indispensable to their principal activities because it is possible to package and ship products without undergoing security screenings. The Court indicated that it does not matter that Integrity required the security screenings since the employees could have completed their work even if Integrity had did not require any screening. Similarly, it found it irrelevant that the company could have reduced the time the employees had to wait before they were screened since this waiting time is not necessary to accomplish the work the employees were hired to perform. Accordingly, it reversed the Ninth Circuit and dismissed the case.